Some candidates got a telling-off on their legal knowledge, while one was asked why he didn't have a necktie on. Here's a roundup of the moments from the JBC public interviews. 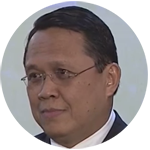 MANILA, Philippines – Who will make it to the Judicial and Bar Council's (JBC) shortlist of candidates for two seats that will be vacated by Supreme Court (SC) Associate Justices Jose Perez and Arturo Brion? For two days, 4 members of the JBC grilled 10 candidates vying for the two posts. Questions ranged from what reforms should be introduced in the country's competitive Bar examinations, to the candidates' stand on recent and controversial SC decisions. Here's a roundup of what happened during the public interview. At least 4 candidates for the post were asked about how they plan to perform their duties as associate justice given that all of them are already in their 60s. Chief state counsel Ricardo Paras, 60: I would certainly opt to work [as SC associate justice] until 70. This is how I work: when I assumed the position of chief state counsel, which according to my friends in the department – undersecretaries and secretaries before – they said that was a difficult job, but this is my 12th year, everyday that I learn something new, it enlightens me, it encourages me. I wake up at 3:30 am just to read all the opinions of drafts made by my state counsels, because in the office, your honor, I do not have time to read. There are so many visitors, the secretary will call me, meetings, on the average, 3 meetings a day. Court of Appeals (CA) Associate Justice Noel Tijam, 67: I have no pretensions that I can finish [thousands of cases] compared to the other justices in the Supreme Court. But what I'm saying is within the limited time frame, the limited period time within my judicial career, I'll be able to concentrate not only on the disposition of cases but also the judicial reforms I was trying to articulate. I'm not fixated about going to the Supreme Court for myself…. Now, in the remaining period of my judicial career, it's more altruistic: I want to pay forward, I want to institute reforms, I want to articulate these reforms to lawyers, to judges, even to the Court, which I cannot do with authority and probably influence as a Court of Appeals justice. 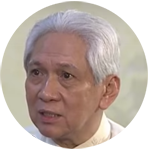 CA Associate Justice Romulo Borja, 68: I don't plan to [decide on over 40 cases per month]. I cannot plan to do that without risking my health. To produce 41 cases a month, one has to engage in assembly line decision-making. I don't believe in that. Every cases must be thoroughly reflected upon, studied, reviewed. My own average, the target I used – sometimes I exceeded, sometimes I fell behind – was 12 cases a month. It took me many years to remove my backlog. If I'm given thousand of cases, I would have to annualize/analyze that. How much can I do within the months [that is] reasonable? I would target maybe 12 cases a month as a minimum – that I'm capable of. Beyond that I'll be completely stressed out, to be perfectly honest. 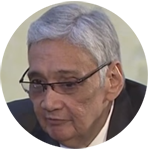 Sandiganbayan Associate Justice Samuel Martires, 68: I always believe in miracle, I always believe in prayers, and I think with a little work, I might be able to reduce [the thousand] cases that is assigned to a particular justice probably by half. That would depend on my health also, but as I said, I always believe in prayers, and that's the only way I can discharge my duties and functions should I be appointed to the Supreme Court. Tijam, meanwhile, listed a number of procedures he went through in the past (heart bypass in 2005; angioplasty in 2012) and his regular check-ups with various doctors (consults with cardiologist at least 4 times a year; goes through laboratory tests every quarter; also consults with a pulmonologist, a prostate doctor, and a knee doctor). Several candidates were asked the same questions, on whether they agreed or dissented with recent controversial SC rulings. Here's where they stand on those issues. 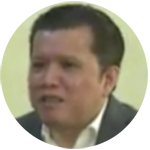 Dimaampao: Yes, but only "upon compelling reasons involving heinous crimes"
Borja: Says he has "no moral qualms" about it, but has reservations on whether or not it acts as a deterrent against crime. Acosta: Clear cases of EJKs should warrant investigation, but stresses that not all are EJK cases and should be taken on a case-by-case basis. 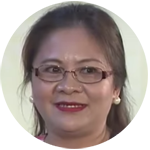 Davao Regional Trial Court Judge Rowena Apao Adlawan: "Legally, there is no EJK in our country because when we say EJK, it's a state-sponsored killing. The President says he's against killing extrajudicially, and he's for upholding the rule of law." Javier: Drug-related killings not yet crimes against humanity and crimes constituting genocide. JBC executive committee chairperson Angelina Sandoval-Gutierrez took the last round of questioning for each candidate, and her questions aimed to test each applicant's knowledge and mastery of the law. The first to undergo her relentless questioning was Acosta. 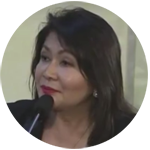 Repeatedly grilled over her stance on the controversial Marcos burial issue, the bail plea of Senator Juan Ponce Enrile, and the acquittal of former President Gloria Macapagal-Arroyo, Acosta was then told off by Gutierrez when the former admitted she hadn't actually read the SC decisions on these cases, but got her information from the news. "I advise you to read more, just in case you are nominated and appointed," Gutierrez said. "As justice of the Supreme Court, you should be knowledgeable on the aspects of the law," she added. CA Associate Justice Romulo Borja also clashed with Gutierrez on several legal points. 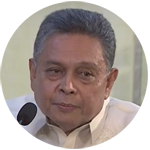 Asked if the Permanent Court of Arbitration on the South China Sea dispute has an adjudicative function, Borja answered in the affirmative, to which Gutierrez countered that he was wrong. Asked if mediation can apply to the SC, he said that he does not see "any strong reason why a compromise can't be reached at that level." Gutierrez corrected him again, saying the SC rules on questions of law and that no mediation can apply. Finally, Gutierrez told Borja that he had the wrong argument when asked to justify his answer on why Congress can move to abolish the judiciary's Judiciary Development Fund. 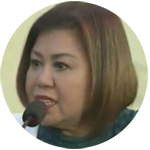 Rita Linda Jimeno, associate dean of Centro Escolar University's School of Law and Jurisprudence, also got a telling-off from Gutierrez when the two clashed on the issue of the SC decision on the citizenship of Senator Grace Poe. Gutierrez also advised Sandiganbayan Associate Justice Samuel Martires to read up on the Arroyo case before giving his opinion. When Martires expressed his concurrence on the SC ruling on the Marcos burial case, Gutierrez told him: "You are changing history." But there was one candidate who escaped much of Gutierrez's tough interrogation. Gutierrez began her questioning of lawyer with this opening question: Why didn't he wear a necktie? San Pedro laughed it off, explaining that he had brought the wrong shirt by mistake and the top button wouldn't close enough for him to wear a necktie. Gutierrez also praised San Pedro when he said he would have dissented on the SC decision granting Enrile's bail plea. All of the candidates have their own extensive work experience and impressive resumes – but the JBC members still had questions for some of them. Acosta's personal data sheet had a lengthy list of awards and honors she received as part of her government service. Yet the JBC members repeatedly asked her about her failing the bar exams twice. JBC member Maria Milagros Fernan-Cayosa noted that no one has been appointed to the SC that has taken the bar more than once. To this, Acosta replied that Claro M. Recto has been her inspiration. After two failures, Acosta finally passed the bar exams on her third try, placing 4th in the 1989 exams. "Kung si Claro M. Recto ay lalaki, ako po ay babae, pero may pusong lalaki na matatag, lalaban para patunayan sa buong mundo at sa mga Pilipino na kahit tayo'y mahirap, bibigyan tayo ng pagkakataon ng Diyos na makabangon sa lusak ng kabiguan upang maging maliit na instrumento ng katarungan para sa Inang Bayan," she said. JBC member Toribio Ilao Jr also referenced this in his question for Acosta. Ilao: What life lessons did you learn from that journey that you may impart to present Bar examinees, to bench, bar, private sector. Acosta: Masakit po, pero kailangan patunayan mo na may husay ka, may talino ka…. 80% bumabagsak taun-taon. Hindi pa tapos ang buhay, may bukas pa, at hindi po lahat ng judges natin ay first-timer, 'yun po ay sikreto at 'di na dapat ungkatin. Sa akin okay lang pong ungkatin sapagkat taun-taon nagbibigay po ako ng inspirasyon at motibasyon sa bawat kumukuha. 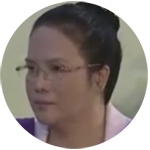 While the PAO chief was asked about her two-time failure, the last candidate to be interviewed was questioned on his lack of litigation experience. 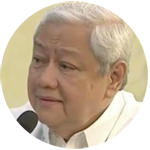 San Pedro, a former official of the Philippine Stock Exchange, boasted extensive experience in private practice – but no experience in the judiciary. Ilao and Gutierrez both pointed this out, with Gutierrez also saying that the 50-year-old San Pedro was too young to live "like a monk" among the SC magistrates. "You are very young, you're only 50. When you join the Supreme Court, you will be like a monk," Gutierrez quipped.